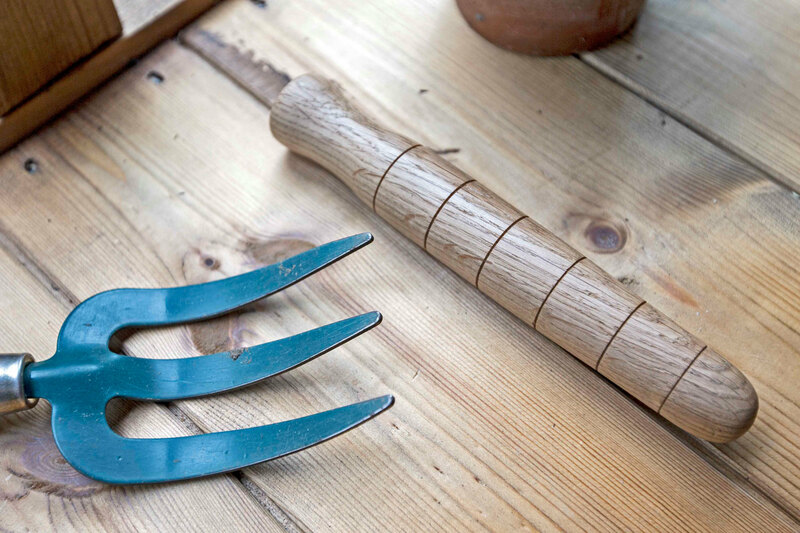 A traditional garden dibber, designed with a broad base to facilitate the planting of small bulbs. A traditional garden dibber, designed with a broad base to facilitate the planting of small bulbs. The body is marked in one inch intervals, giving a total measured depth of five inches. The depth lines are carved into the wood so, unlike painted lines, they won’t vanish after a few uses. 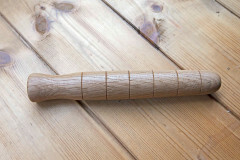 This dibber is hand turned from salvaged and recycled oak. 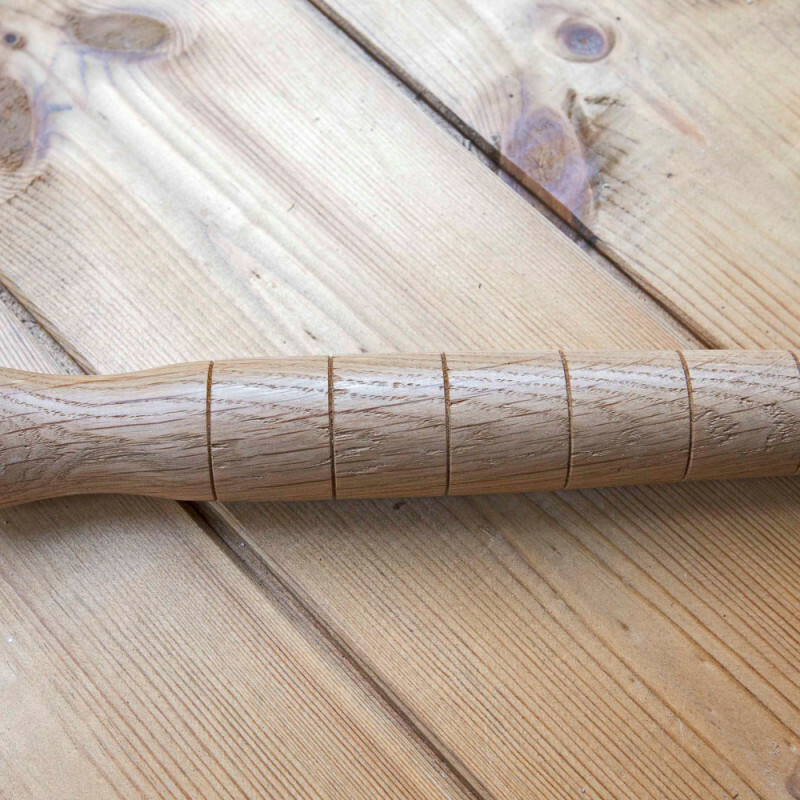 It has a broad tip, is graduated in inches, and has a slightly concave handle grip to fit the palm.